philosophy to be equally well designed and functional. 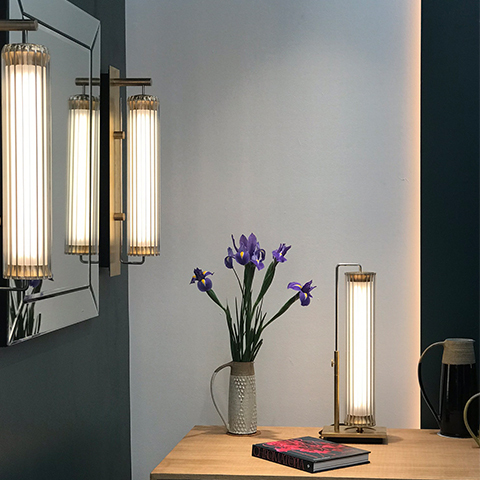 The collection offers customisable elements to tailor to your specific interior or lighting requirement. An elegant glass pendant giving a diffused and warm light effect. Solid machined top and base with reeded glass shade available in three lengths and a range of finishes. Complete with suspension, matching mount and dimmable driver. Table light giving a diffused and warm light effect. Solid machined cap and rectangular base with reeded glass shade. 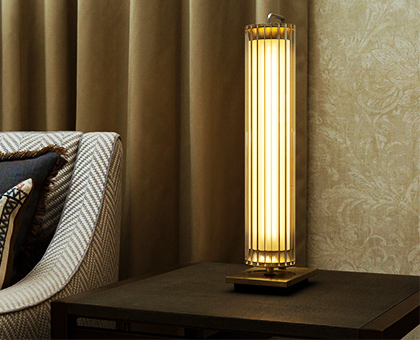 Fitted with touch dimmable base and available in a range of finishes. 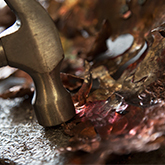 The Fresnel is designed to be both a stunning focal point and provide perfect lighting. 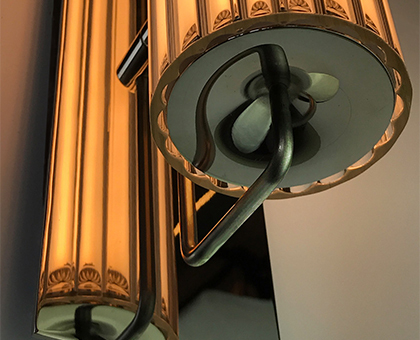 Chandelier designed with three shades lengths on elegant arms to central mount . 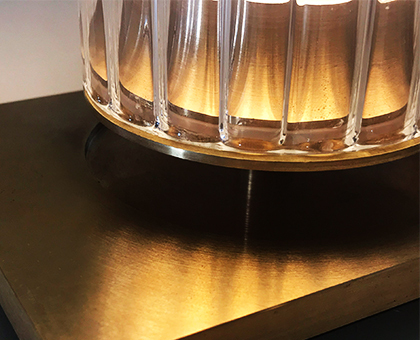 Fresnel lights with solid machined cap and bases with reeded glass shade. The Fresnel chandelier provides a warm and diffused effect which is easily dimmed. An elegant glass wall light with reeded glass shade and solid metal wall plate. Solid machined elements and internal diffused light core. Integral dimmable driver to wall box. 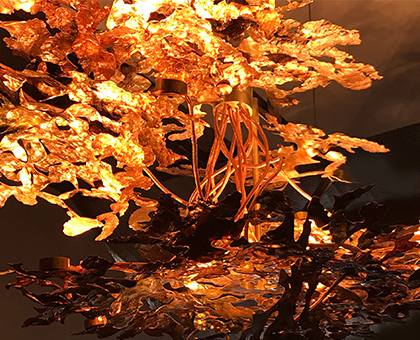 Inspired by arching cedar branches the chandelier features hand beaten copper, heat coloured and internally illuminated. Multiple very warm led light points on braided copper cables, reflect on the leaves and provide dramatic shadows above. Available in two models or tailored in size to a space. 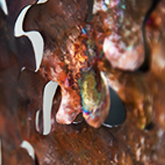 A unique modular wall light made from hand planished copper with a heat patinated finish. 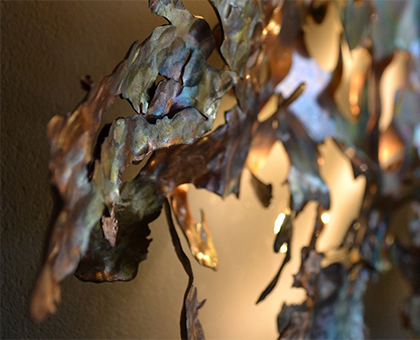 Integrated LED lights filter through copper leaves giving warm tones. Multiple leaf canopy designs can be arranged to create a unique wall design. Delicate pendant made from mouth blown glass with glass light ball. Created with cracked glass, reformed in the kiln. Light is refracted into the glass to bright out the delicate woven fractures and cast unique shadows above. Available individually or to multiple suspension plates in a range of finishes.